Abertawe Bro Morgannwg University Local Health Board is responsible for providing out of hour medical cover at the practice, from 6.30 pm to 8.00 am, throughout the weekend and on Bank Holidays. Patients ringing the practice on (01639) 700203/701660 will be answered by a telephone answering machine giving alternative telephone numbers and information on how to contact the service. 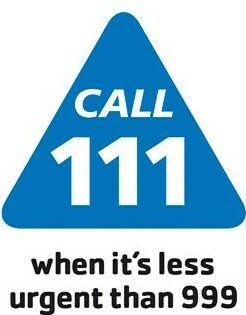 The out of Hours telephone number is 111. The Duty Doctor will either offer advice or if necessary inform you of a place and time for a consultation. Patient’s who are too ill to attend for consultation, may be seen at home if appropriate.